All You Need to Know About RRSP’s. Have you ever stopped to think about how you will care for yourself financially after you retire? Think about opening up a Registered Retirement Savings Plan (RRSP). You may be thinking to yourself, what is an RRSP? I’m going to make it simple to understand, so hang on tight! Did you know that the average Canadian wants to retire by the age of 63? 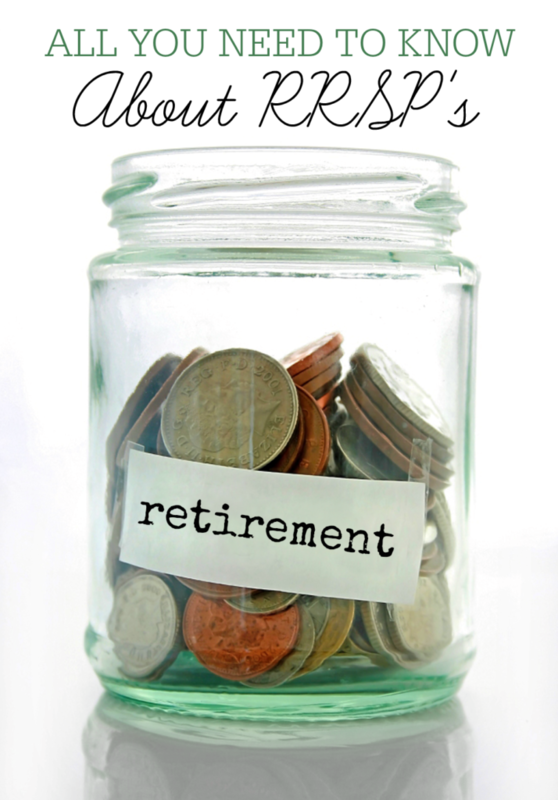 A recent study has found that 60% will not be able to do so with their current financial plan. Don’t think it is just a baby boomer issue, in fact, millennials are facing the highest real estate and family expenses in history. They simply aren’t banking enough either. To put it simply, it’s a savings and investment plan, in which you set aside the funds you will need after you have retired. This type of plan works wonderfully whenever you are retired and have no regular income coming in. Anyone who files taxes can open up an RRSP. I love the idea behind the RRSP because it’s a super easy way to save money without it impacting your financial situation now. Any funds that you place in your RRSP, stays in your account until you are 71. After that, you can receive the funds as a lump sum or you can have the money taken out in increments. I think it’s also great that the money you put into your RRSP is not taxed until you decide to take it out. If you withdraw the funds early, the funds will act as part of your income that year and they will be taxed. Contribution to your RRSP can happen any time during the year, just make sure to ask about the deadline. Some people have been known to make their contribution all at once, so it’s flexible! Are Canadians Retirement-Ready? from RateSupermarket.ca on Vimeo. I love this video of Penelope, of RateSupermarket having some very interesting conversations with Canadians about their retirement. She took to the streets to find out how the average Canadian feels about their retirement chances. A lot of them felt that retirement was a long way ahead of them and most of them were trying to get long-term and careers before even thinking about retiring. They found that it was a challenge to think about retirement on top of having to pay bills and living costs. Many were not aware what options are available for them. In fact, many of them didn’t know much about RRSP programs. If the Registered Retirement Savings Plan (RRSP) has you curious, you can sign up to learn more information. I am so excited about this next part: When you do sign up, you are automatically entered to win $2,016! 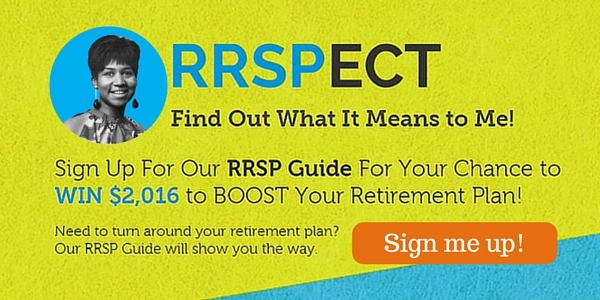 All you have to do is sign-up for their RRSP Bootcamp. Once you’ve entered your info, you will receive 4 emails over the course of 10 days to help educate them on RRSP’s/GIC’s. Times have changed from previous generations and job security is tough in this economy. Older generations would work for the same company for 35 years or more and that just doesn’t happen anymore. The more educated you are the better! It’s great to be financially literate! Are you thinking about or already saving for retirement? Previous Post: « 5 Playful Fashion Trends That Are Making a Comeback. Who Said Fashion Can’t Be Fun? As I get older, I think about retirement more. I sure wish I has started in my early 20's. For sure, investing in one self is important. It sounds similar to some plans we have here in the US. I used to have a 401k but had to cash it out after I lost my job. We have to do what we have to, I am glad you had it there to use. Here it's all about the 401k! I really need to be better at saving, but I feel unsure about saving for me, or making sure my kids are taken care of. Growing up is HARD! OMG, yes…. so many things to do. Being an adult is hard. I'm only in my twenties but I guess it's never too early to start saving for retirement, we also get a pension in the UK. Never too early! Great time to start. When you're young this is not something that comes to mind, thinking about retirement life before you've even started to live your current life but you're right so many things happening now that we wont have the luxury to retire at tender age or 63 (65 in the UK). Happens so often, then it is late in the game. I must admit that I have never heard about RRSPS–maybe it's just a Canadian thing? My husband is an investment advisor so I know my retirement is growing and on the right path. Hehe, I think it is the same as your 401. I've been saving for retirement for many years now. I still don't quite get all the ends and out of it but my job offers a class I plan to take. It will tell me everything I need to do so that when the time comes I will be ready. Good to know! Good luck. This is fantastic information that applies to everyone. There is a lot to consider and think about when it comes to your RRSPs evern if you still have years before retiring. I believe that I should be thinking about my retirement as soon as possible. The sooner the better. So true, the sooner the better. Much needed information for everyone. I stress to my kids that it's never too early to plan for retirement. They are all young adults and are taking that seriously. Thanks for sharing. Retirement is something we really need to start planning for but it seems every time we start to get ahead we get knocked back 10 steps. It can be difficult, that is for sure. I think it is so smart to put money away for retirement! You need to be prepared for life after work. Thank you for providing this info! We are seriously looking into this! I am a blogger so I am going to have to start saving for my future asap! My husband is older than me too so he needs to! We need to start planning! Always best to invest in yourself. I am trying more and more to put towards retirement. Thank you for all the information! Much needed information for everyone! We all should prepare for next life after work!! It is a shame more people don't contribute to RRSPs not sure who they think is gonna pay for them to live in the future??!! What I know is that I should really start contributing to an RRSP!!! I just need to get myself ontop of my finances and budget to MAKE > IT > HAPPEN!!!!! You need to invest in yourself first! Planning for retirement is so important. It’s so important i wish i has started earlier! It is so important indeed!